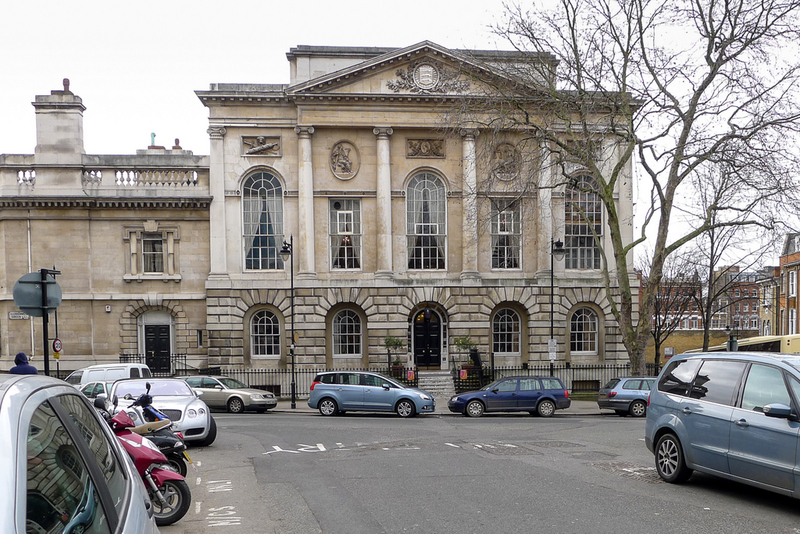 The British Violin Making Association held its annual Maker’s day on 3rd March in the Old Sessions House in Clerkenwell, London. It was noisy, crowded and hugely enjoyable. I only managed to take a few photographs, but I hope they’ll give a flavour of the day. 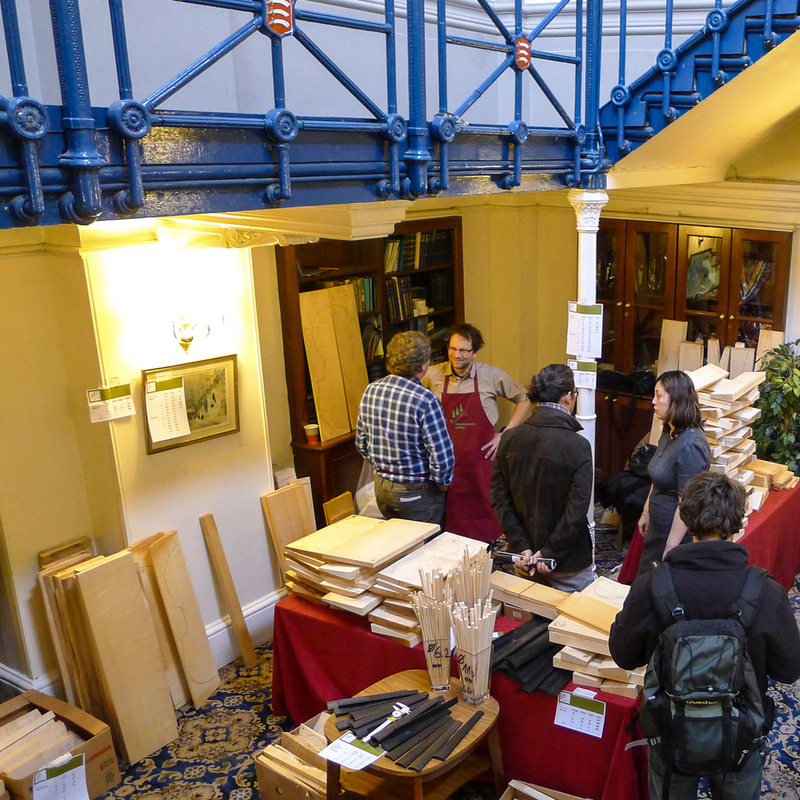 Andreas Pahler (in the maroon apron), who founded Alpentonholz, brought some fine tonewood to sell. 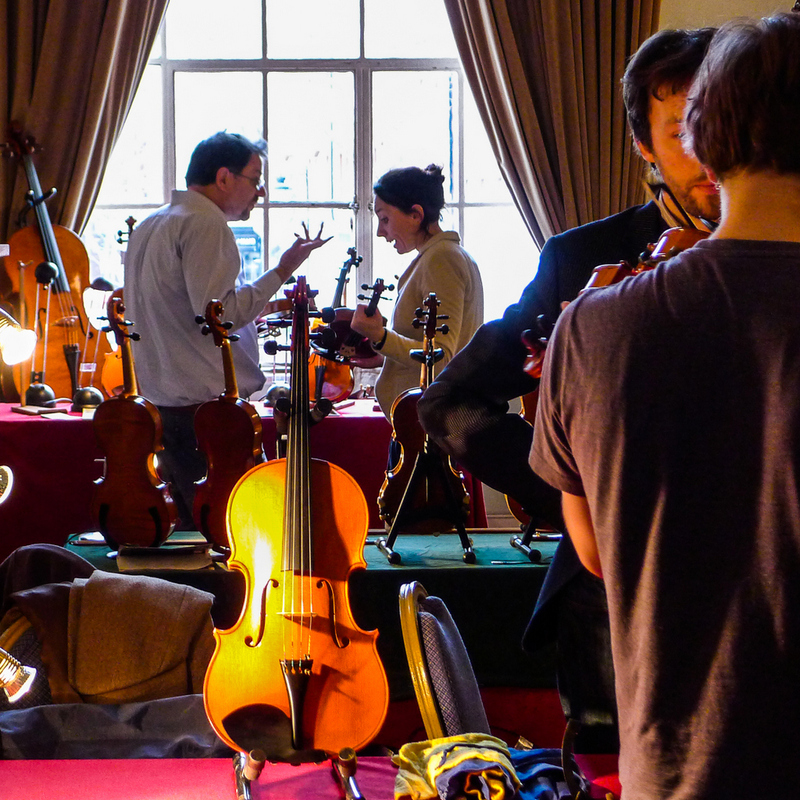 More than 40 makers of violins, violas, cellos, viols and bows were showing their work. 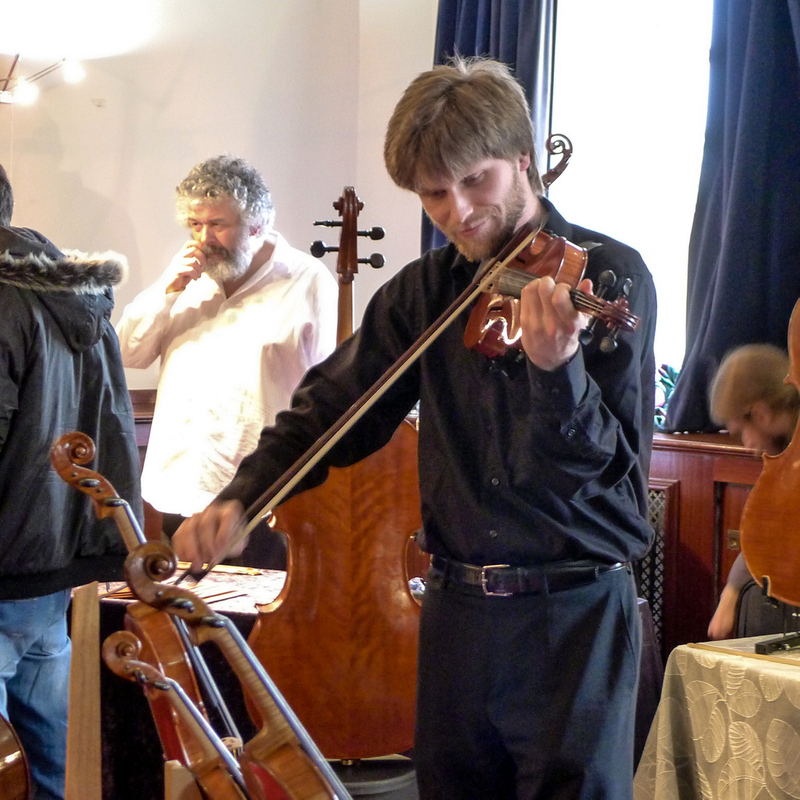 Christopher Jones, who plays in the Gildas Quartet, tries out a violin – one of mine, as it happens. 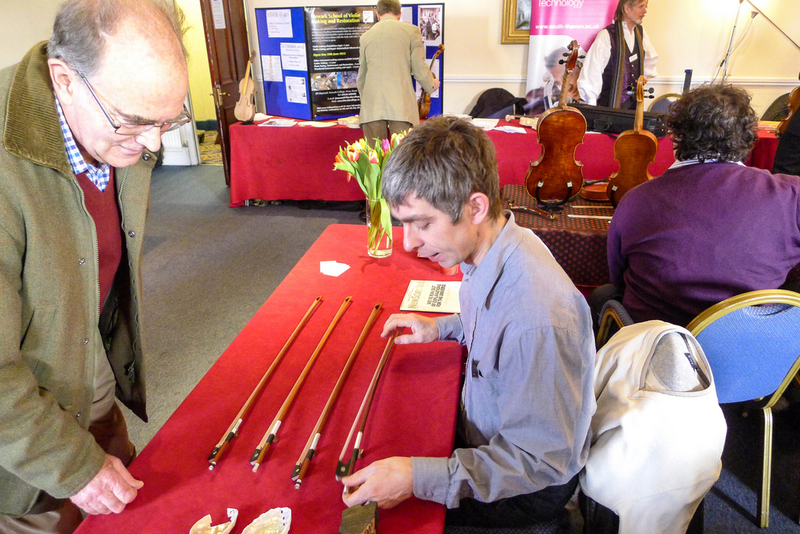 Stephen Thompson displayed four beautiful violin and cello bows. 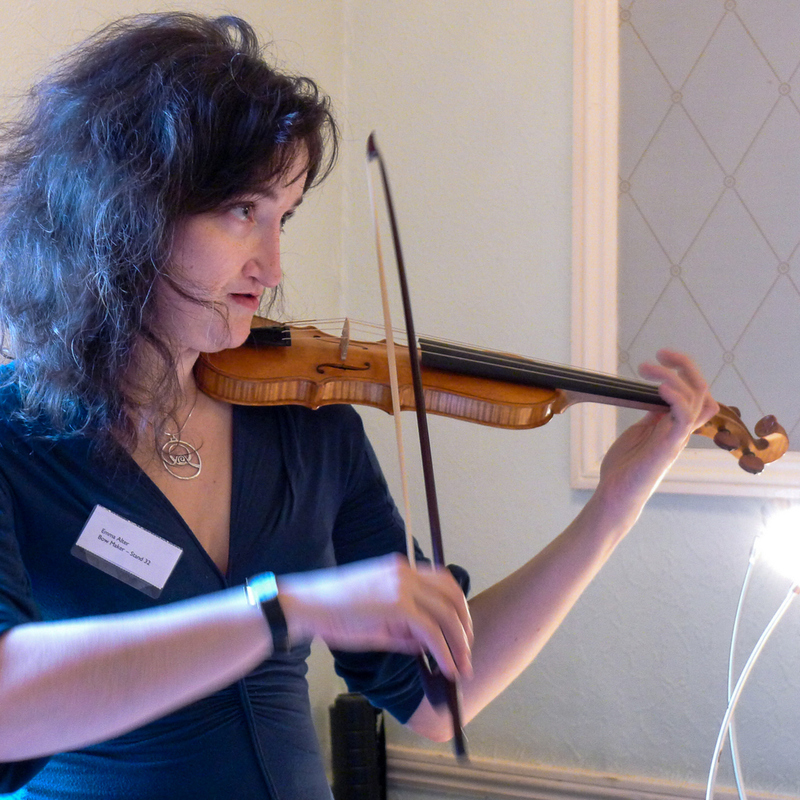 Emma Alter, violist and bowmaker, plays a pochette made by Mike Lavelle, with one of her own baroque bows. Click on a thumbnail for larger views.